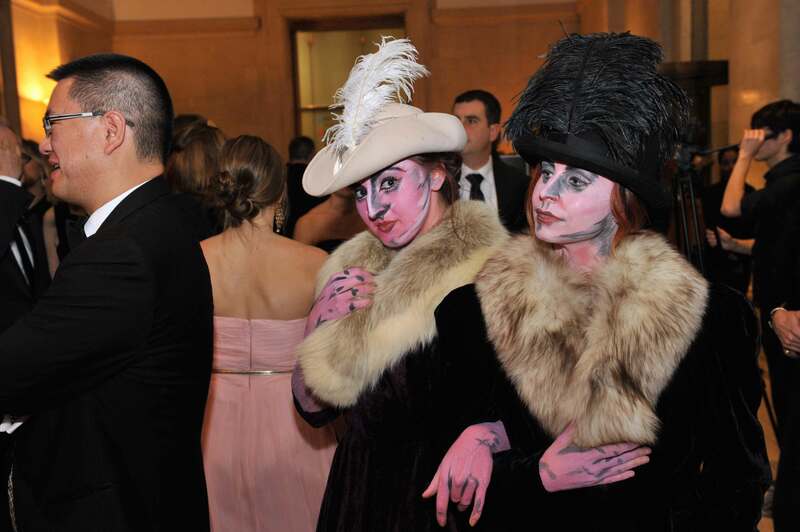 This year, we had the honour of attending the 54th edition of the Montreal Museum of Fine Arts Ball proudly presented by their Volunteer Association. 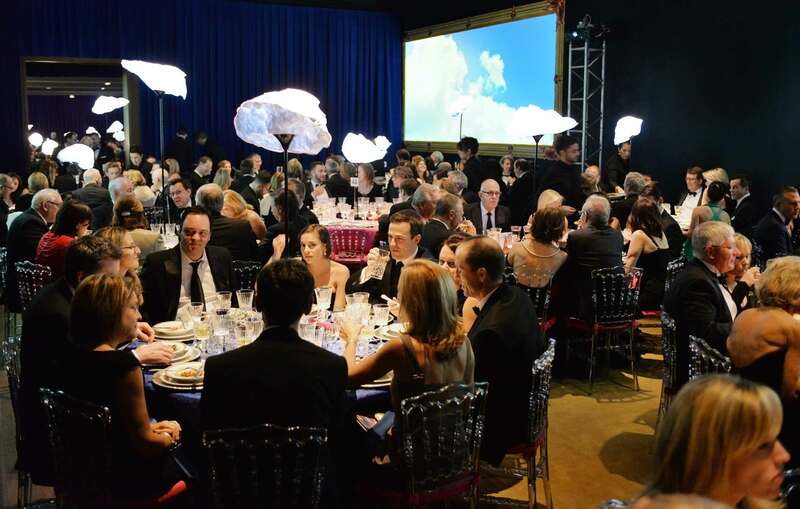 It is one of the most prestigious fundraising galas in Montreal. 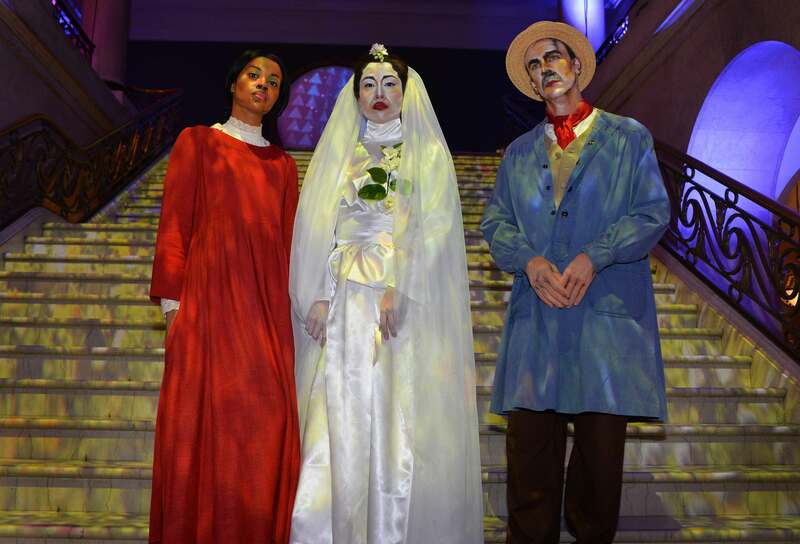 The theme for the evening was inspired by the impressive exhibition: Van Gogh to Kandinsky: Impressionism to Expressionism, 1900-1914. 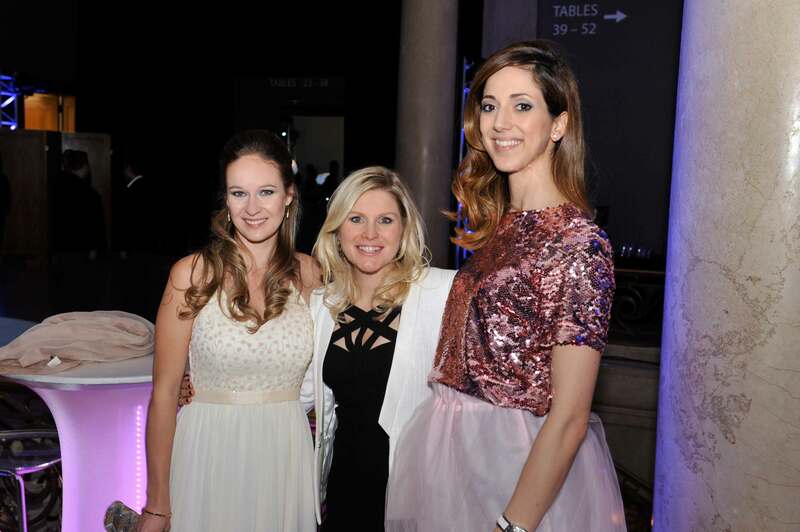 Fundraising events like the gala will help make a significant donation to the Montreal Museum of Fine Arts – thanks to the hard work put in by the Volunteer Association. 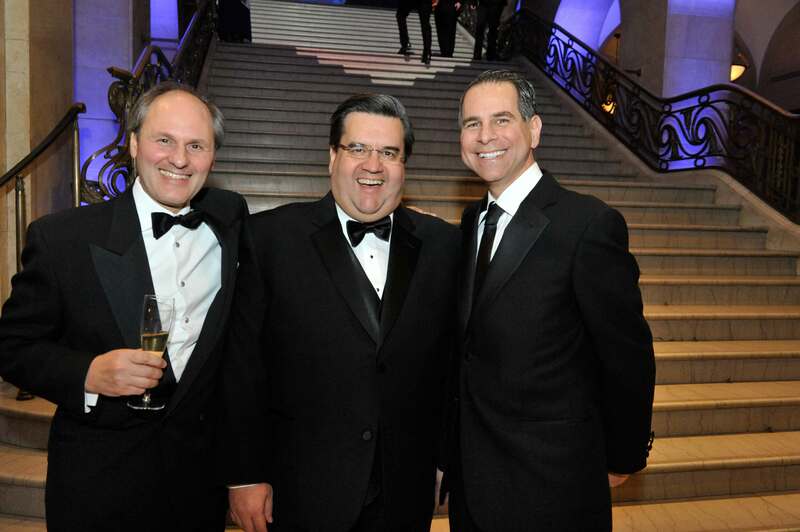 This prestigious evening was held under the distinguished patronage of Co-Presidents Luc Bachand, Vice Chairman & Head, BMO Capital Markets – Quebec; Claude Mongeau, President and Chief Executive Officer, CN; and Alan P. Rossy, President and Chief Executive Officer, Groupe Copley. 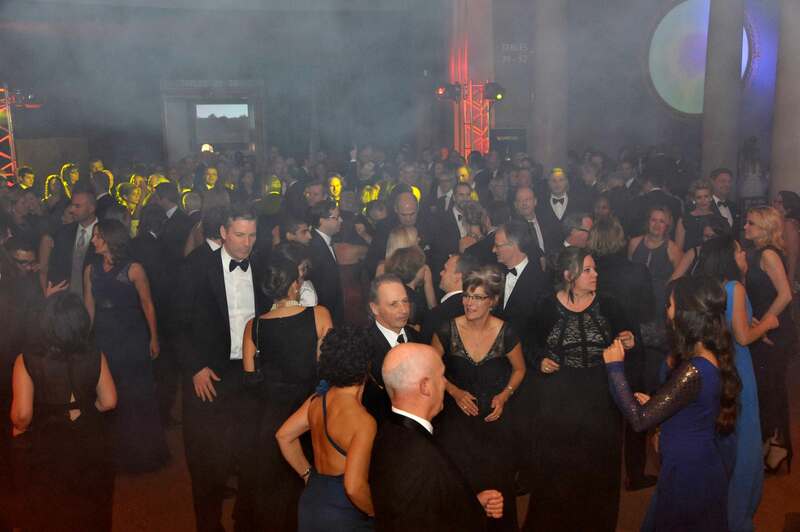 Roula Rossy, Chief Designer at Groupe Copley and Director of The Alan and Roula Rossy Family Foundation, presided over the 2014 Museum Ball Steering Committee. 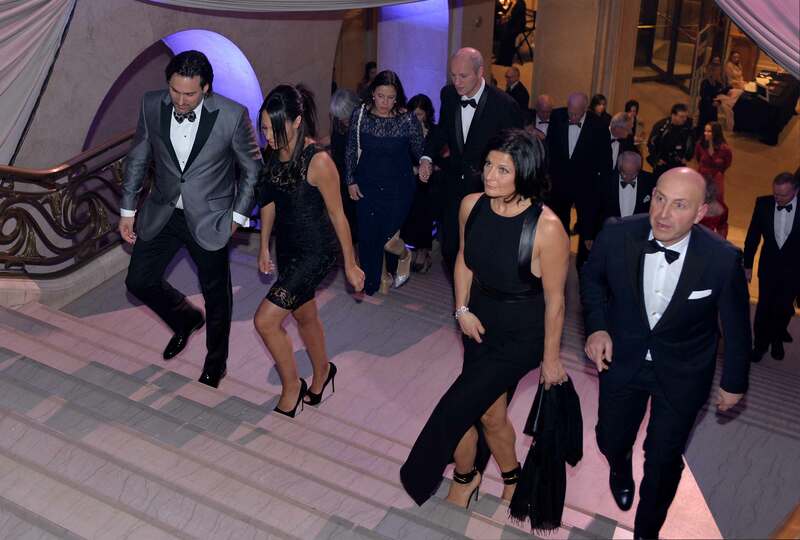 The City of Montreal, which was honoured at this 54th Museum Ball, was represented by Mayor Denis Coderre, proud ambassador of our beautiful city. We have been in the museum many times before but tonight was different. We entered the Michal and Renata Hornstein Pavilion and felt immediately transported to another world. 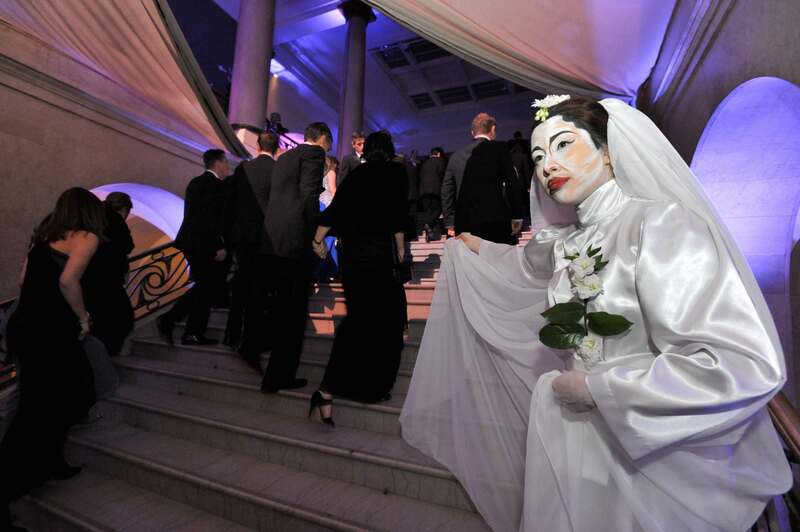 The guests were looking wonderful in their tuxedos and gowns, while entertainers from Cirque du Soleil pranced along the halls marble floor. 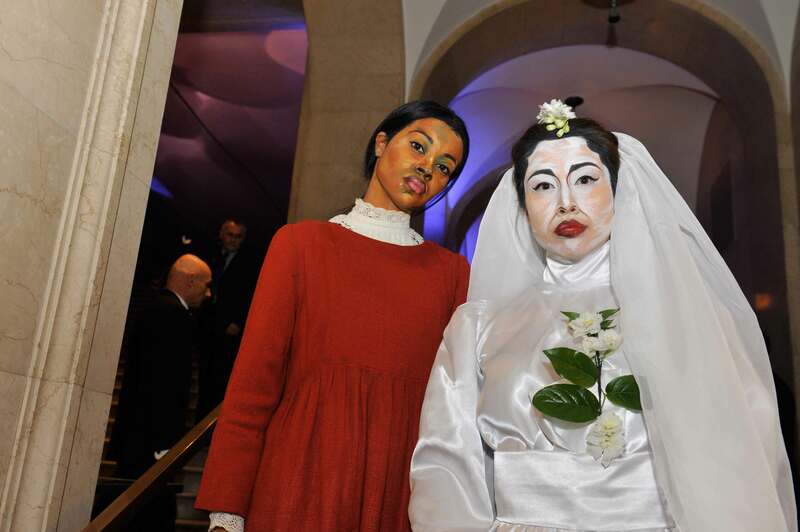 Their performances were inspired by the dreamlike creativity of the expressionists works of art. 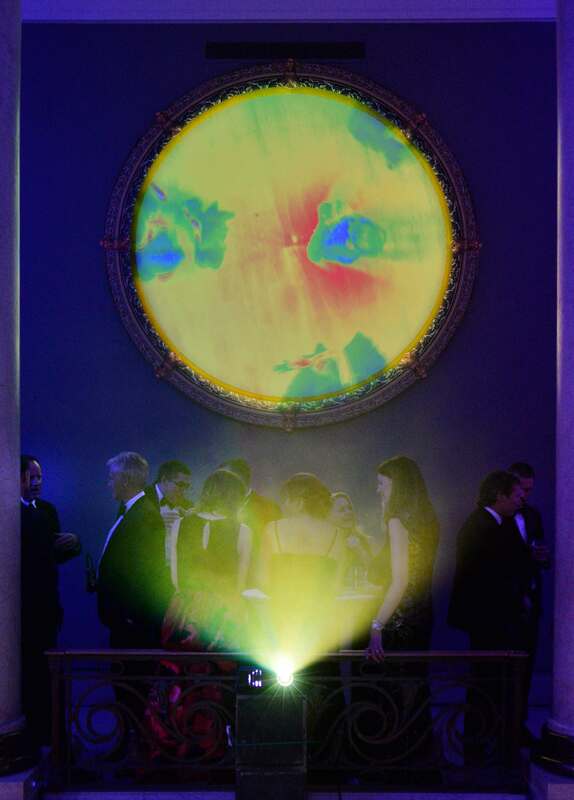 We began our magical evening with cocktails in the Hall of Bronzes and the Liliane and David M. Stewart Pavilion of Decorative Arts and Design. We were then ushered to the upper level of the Pavilion, which was illuminated in a cool blue and every exhibition room was uniquely decorated. The dining rooms offered views of surreal expressionist landscapes. 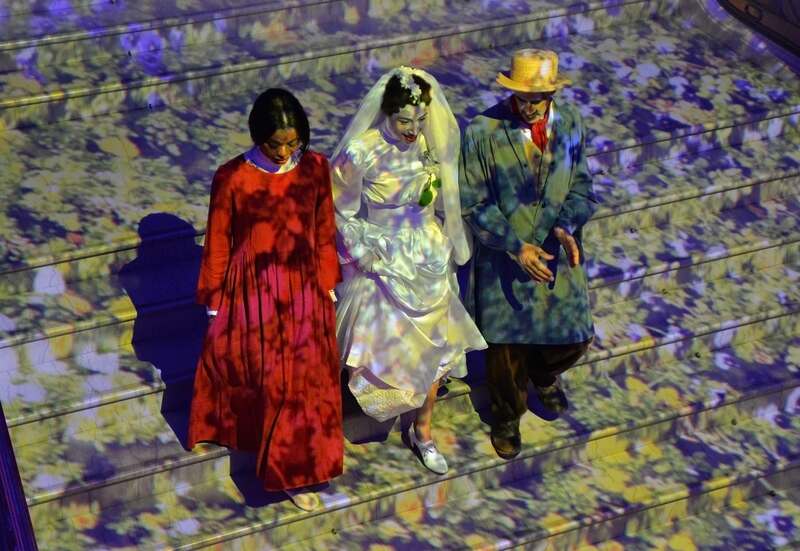 During the evening, the colourful characters dazzled guests with their surprising skills. The Fairmont The Queen Elizabeth, under the guidance of Armando Arruda, served our dinner for the night. The evening winded down by two acrobatic Cirque du Soleil performers, we were mesmerized by their physical ability to hold the poses! 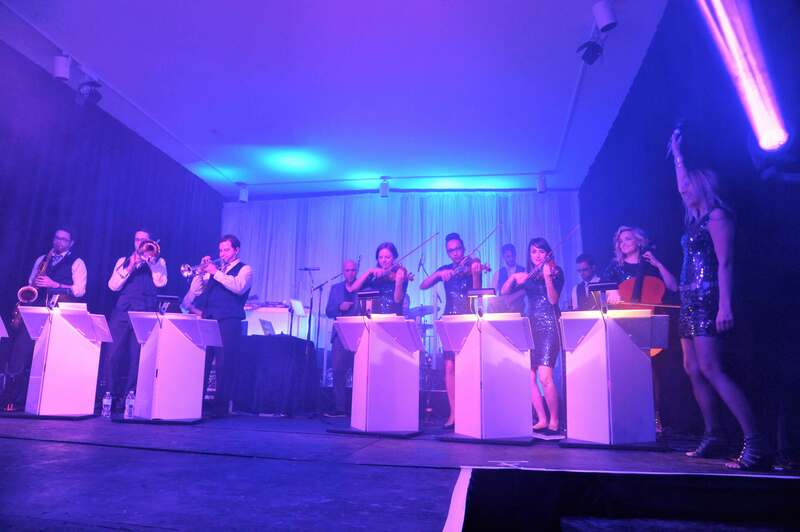 Afterwards, the dance floor was opened and we enjoyed music from a live band that performed the latest pop hits. 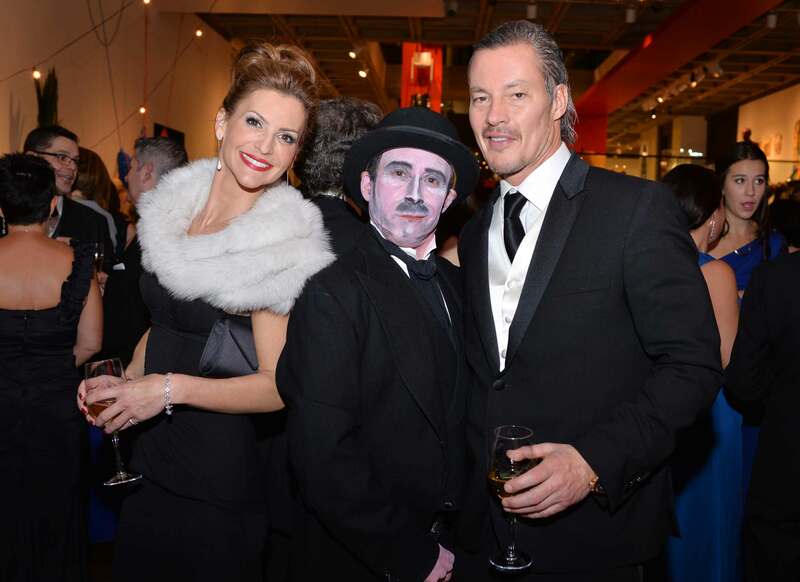 We want to thank the Montreal Museum of Fine Arts and their Volunteer Association for a wonderful evening!